Team Friday worked closely with the team to create the logo, brand, and website. Team Friday wrote the website content and initial communications. 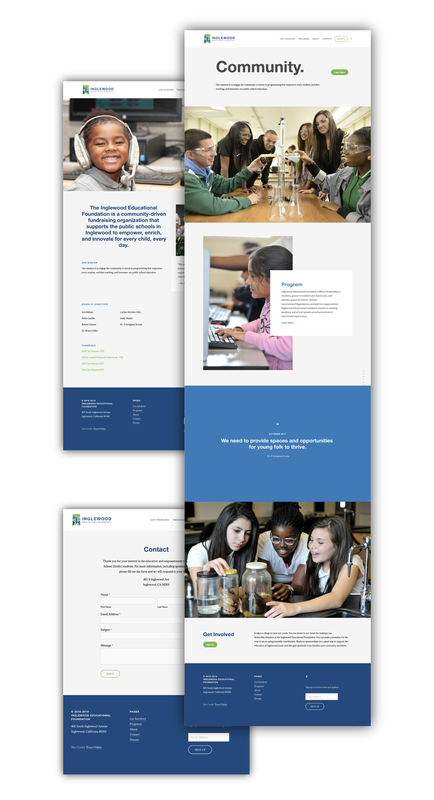 We are in development with more campaign and branding work with Inglewood Educational Foundation. Inglewood Educational Foundation offers scholarships to students, grants to teachers and classrooms, and matches grants for Parent Teacher Associations/Organizations and partner organizations.